Registration for our Spring 2019 season is open. Click HERE to sign-up. If your kids like to run, we've got a fun program just for them: Zoomerangs! This non-competitive "open track" program is designed for kids aged 3-12. It gives them the opportunity to experience running in a fun, friendly atmosphere where the motto is "Will run for worms" (gummy worms, that is!). It's a great place for kids to run safely, correctly using good form, make friends and get stronger/build endurance so they can perform better in other sports (or rock the mile in gym class). Most of all, our goal is to empower kids to accomplish their goals and instill in them a lifelong love of running. It's also a great opportunity for mom and dad to spend quality time with your kids - and get in shape too. Practices will last about 45-60 minutes. After a group warm-up, kids will be encouraged to run at their own pace and run as many laps as they feel comfortable running. 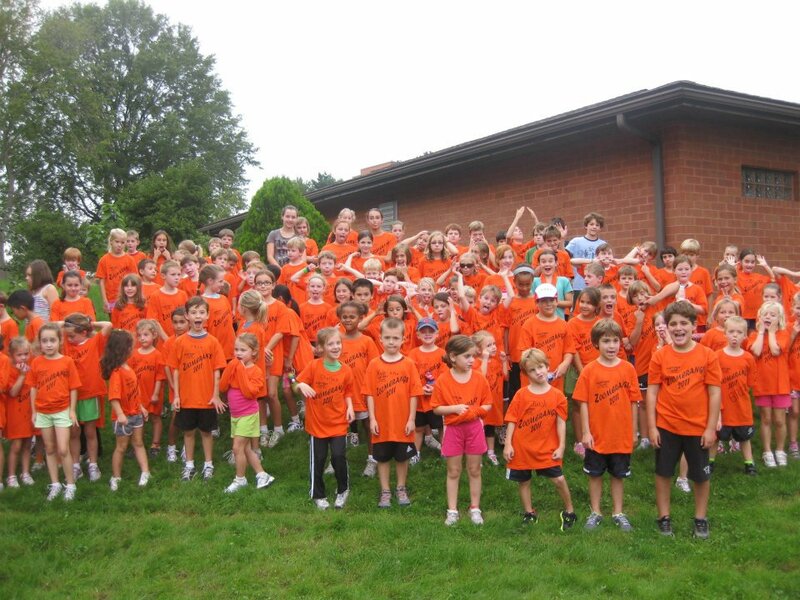 Our goal is to have kids run/walk 4 laps (1 mile) each practice - though, by the end of the season many kids are running 2-4 miles – and still smiling at the end! Parents are encouraged to run with their kids...if they can keep up! In the Spring and Fall, we offer two types of Zoomerang programs in West Hartford - one for typical children and one for kids on the Autism Spectrum ("Zoomerangs on the Spectrum"). We will not be hosting a program in Glastonbury this spring. The program cost is $45 per child and includes a Zoomerang Team t-shirt, road race entry, gummy-worms & lap rewards. Scholarships are available - contact Steph (steph@fleetfeethartford. com) for details. Description: If your kids like to run, we've got a fun program just for them: Zoomerangs! This non-competitive "open track" program is designed for kids aged 3-12. It gives them the opportunity to experience running in a fun, friendly atmosphere where the motto is "Will run for worms" (gummy worms, that is!). We also offer a special Zoomerangs program for children on the Autism Spectrum (register for that program here: https://www.signmeup.com/129875).